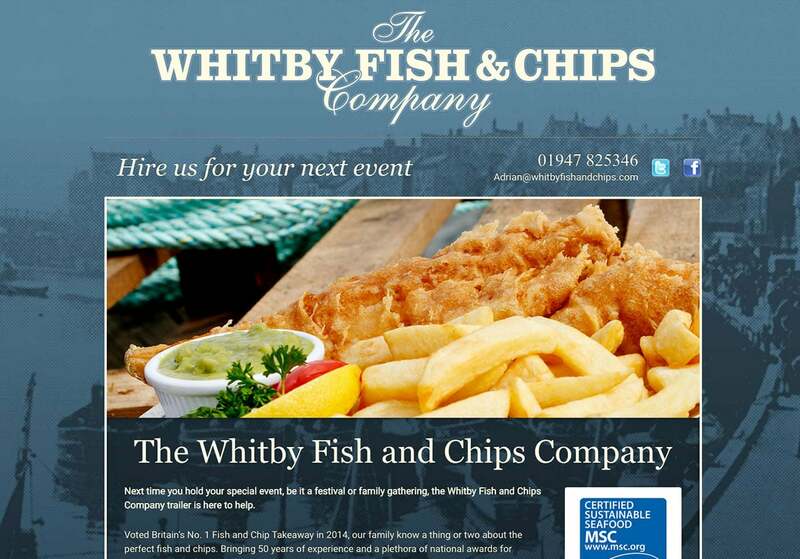 Whitby Fish & Chips Co. The website had to be online within the week. 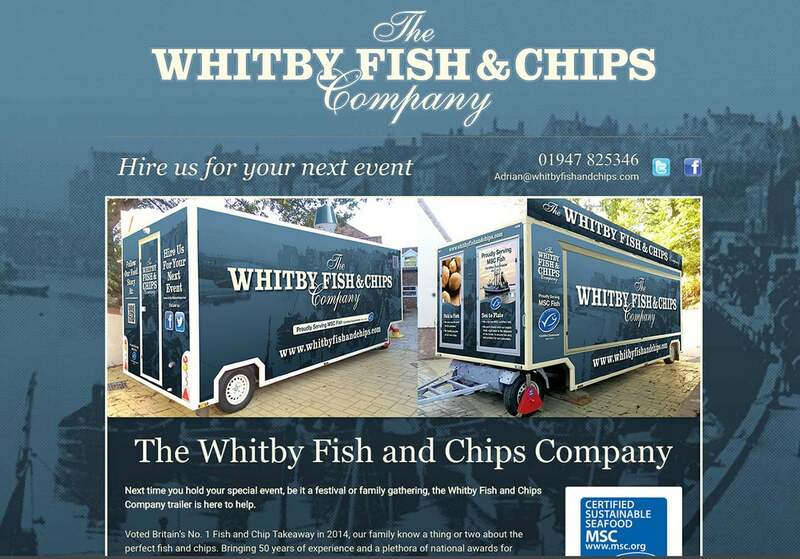 Using artwork supplied by the vinyl wrap company who created the trailer livery, we created a single page website in short order. 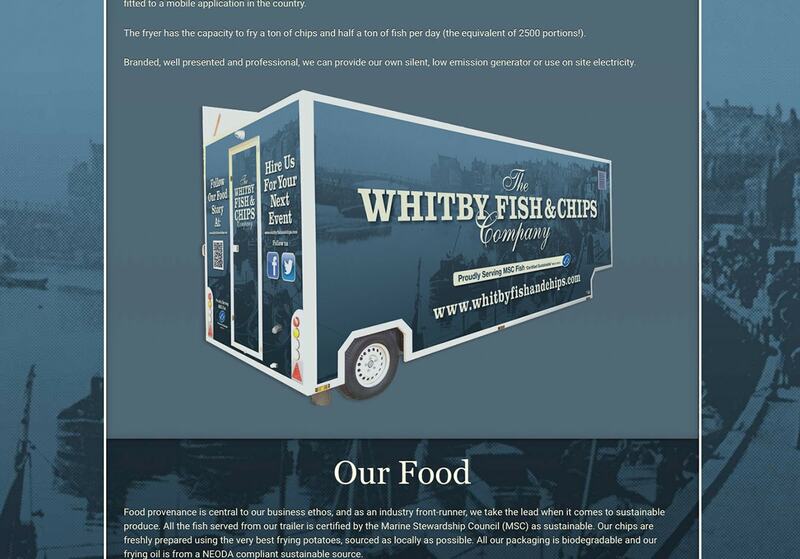 The website is a single page site, is mobile ready and features ‘transparent’ sections that show the background underneath as you scroll down the page.